Tottenham expect to seal the sale of midfielder Nabil Bentaleb to Schalke in the summer transfer window for a fee in the region of £16million, according to the London Evening Standard. 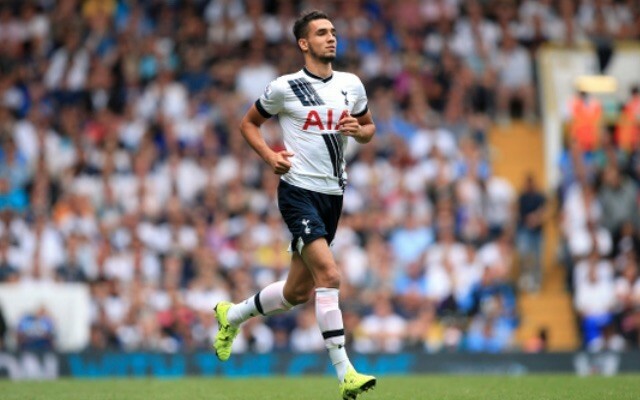 Bentaleb, a product of Spurs’ academy, was promoted into the first-team in the 2013/14 campaign. He took to professional football like a fish to water and immediately established himself as an important member of the squad. He made 35 appearances in 2014/15, and looked as though he would be a key figure in Tottenham’s midfield for years to come. However, his 2015/16 campaign was tainted by struggles with form and fitness, and he fast found himself down the pecking order at White Hart Lane. He subsequently joined Schalke on a season-long loan in a bid to find regular first-team football. He has impressed in his first 19 Bundesliga appearances, finding the back of the net on four occasions. The Standard now expect him to make his switch to Schalke permanent, and believe that Tottenham will receive a fee in the region of £16million. That looks to be a good deal for all parties involved.